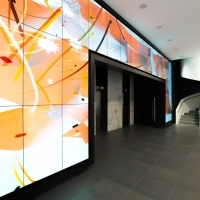 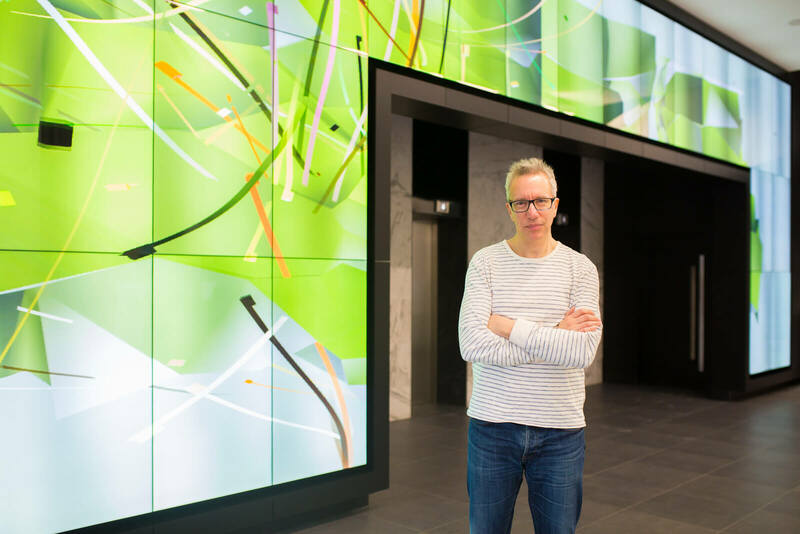 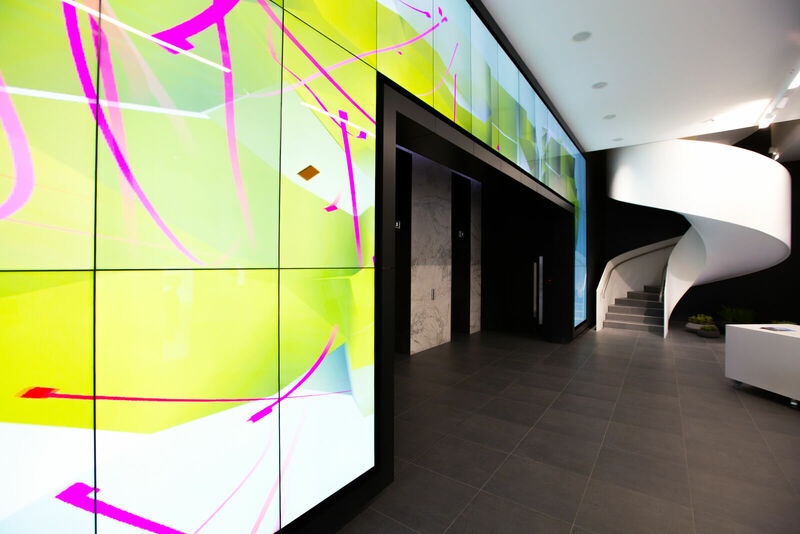 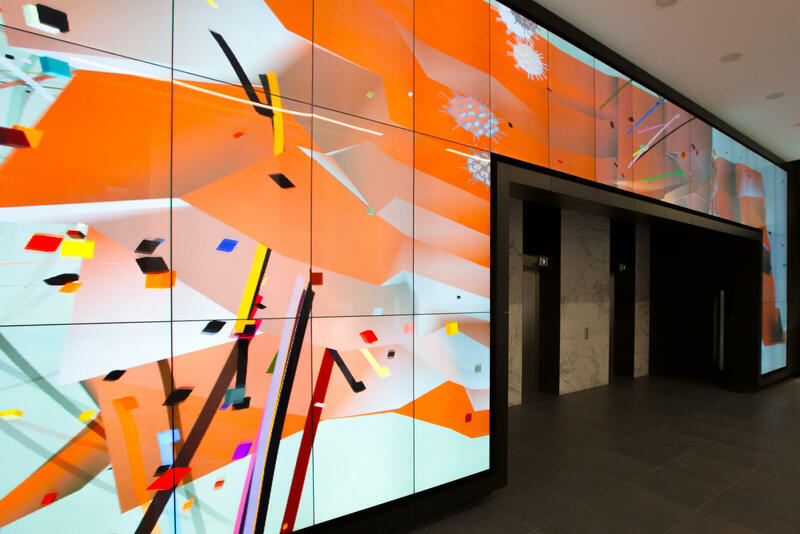 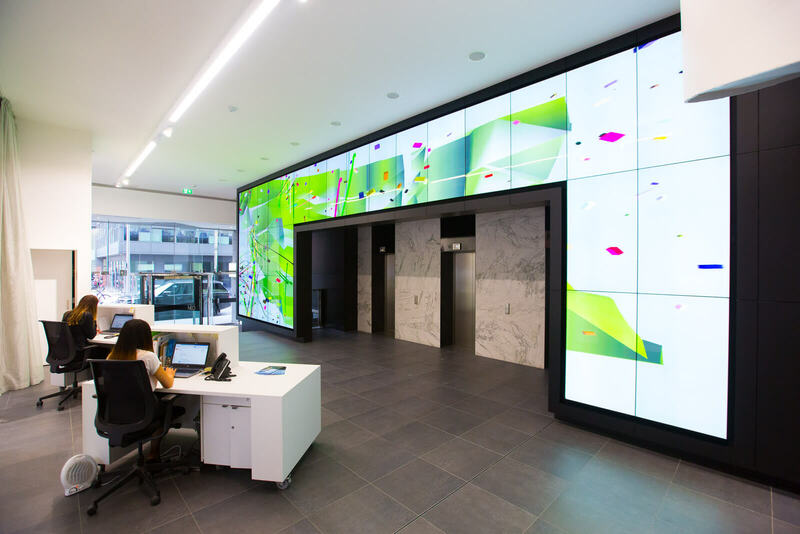 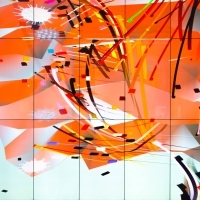 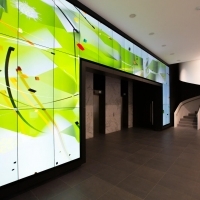 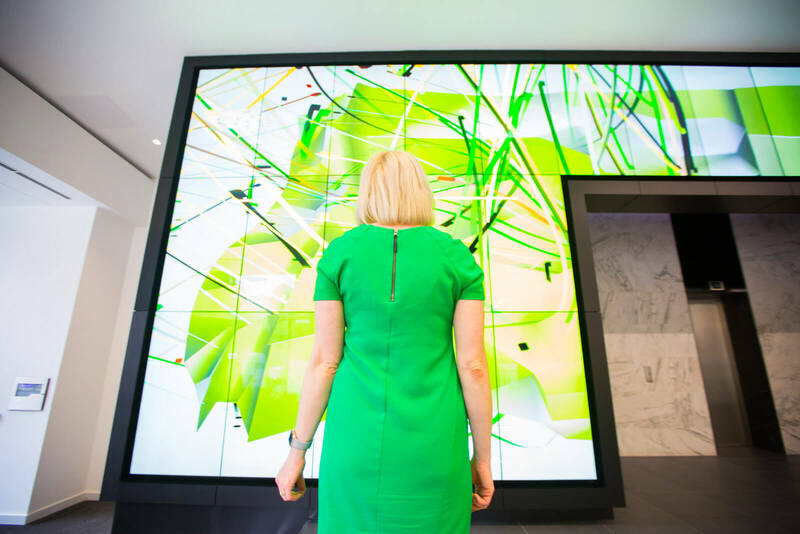 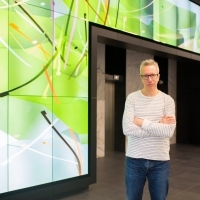 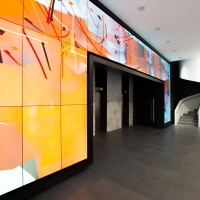 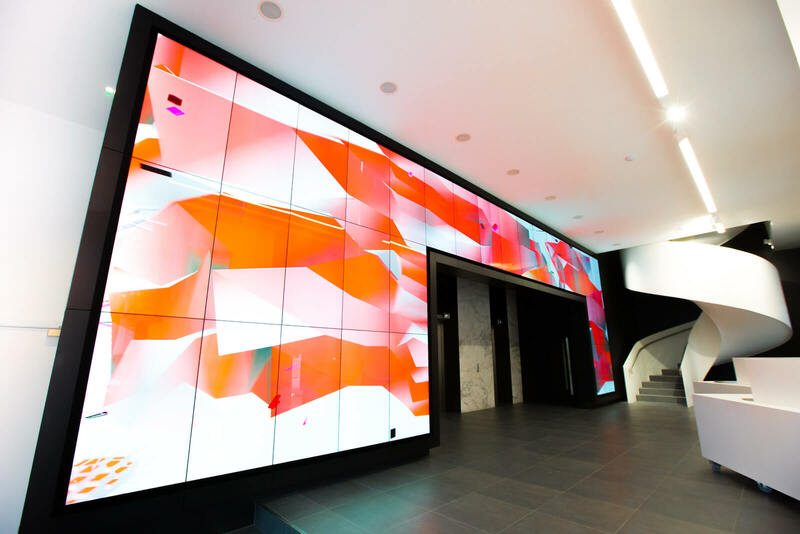 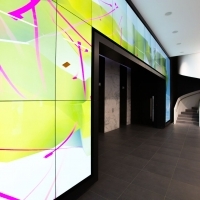 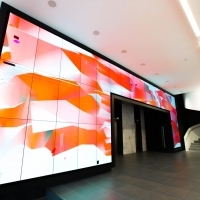 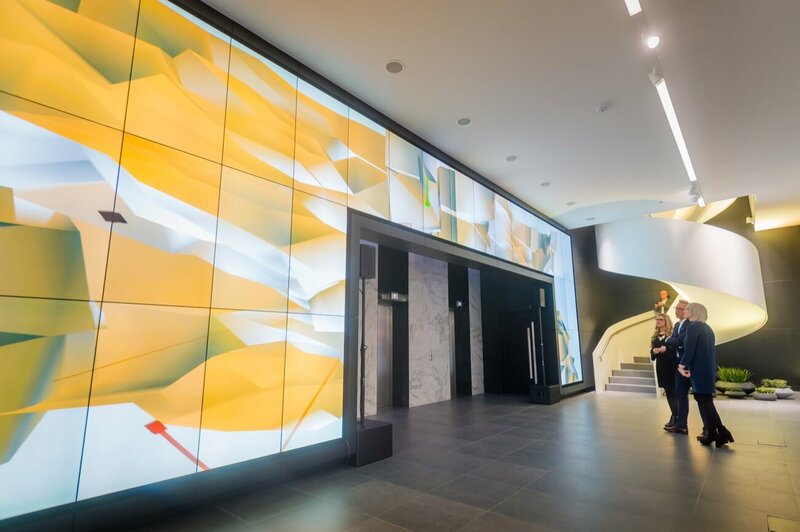 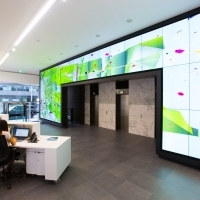 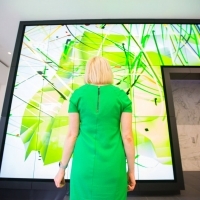 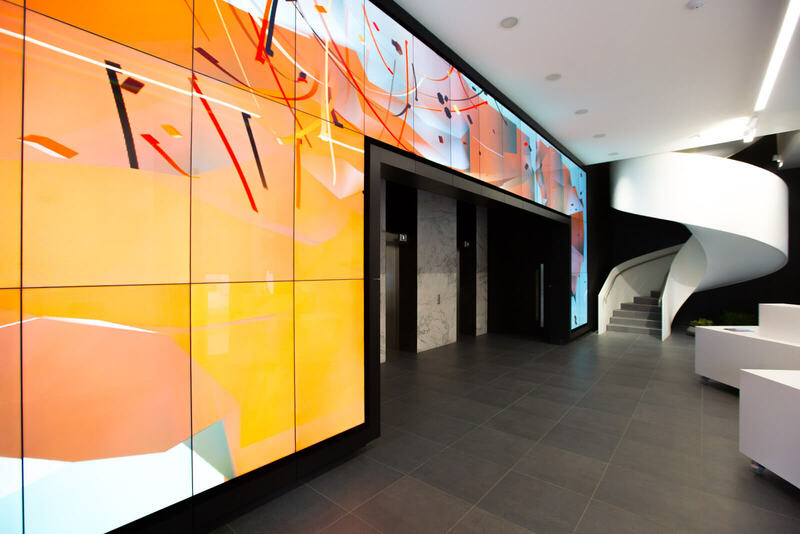 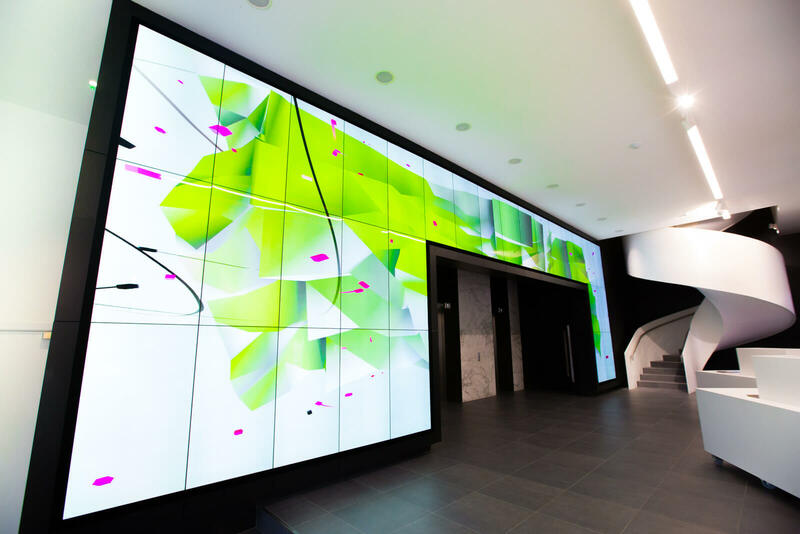 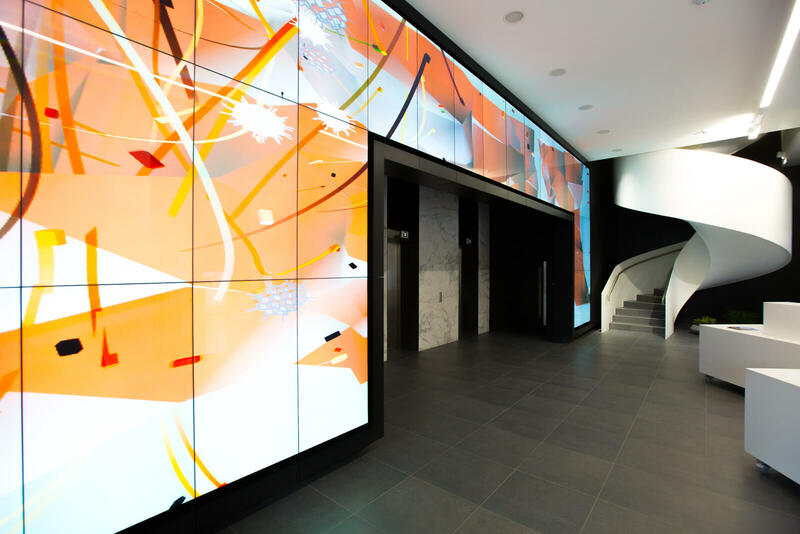 Commissioned by Bruntwood for the foyer of their new Neo building, Fermata visualises the real time interactions in and around the building to create a constantly evolving artwork. 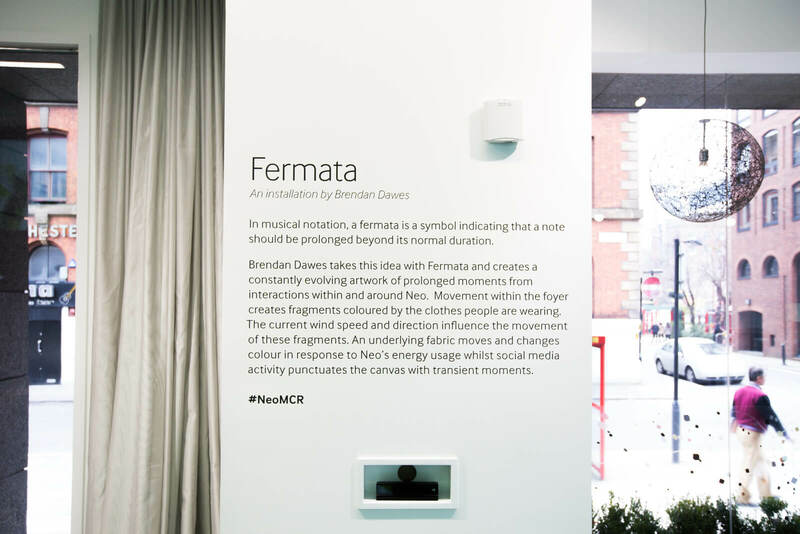 In musical notation a fermata denotes a note should be held beyond its normal duration. 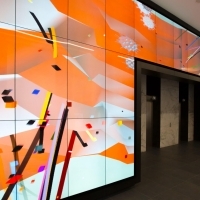 Inspired by this idea of prolonging moments and the rhythm of a place of work, Fermata consumes various data feeds and constructs abstracts representations of those feeds on the large 30 screen display. 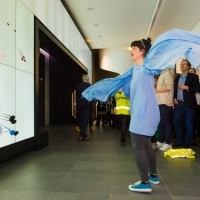 Visitors passing through the foyer trigger flowing trails, coloured by the clothes they're wearing. 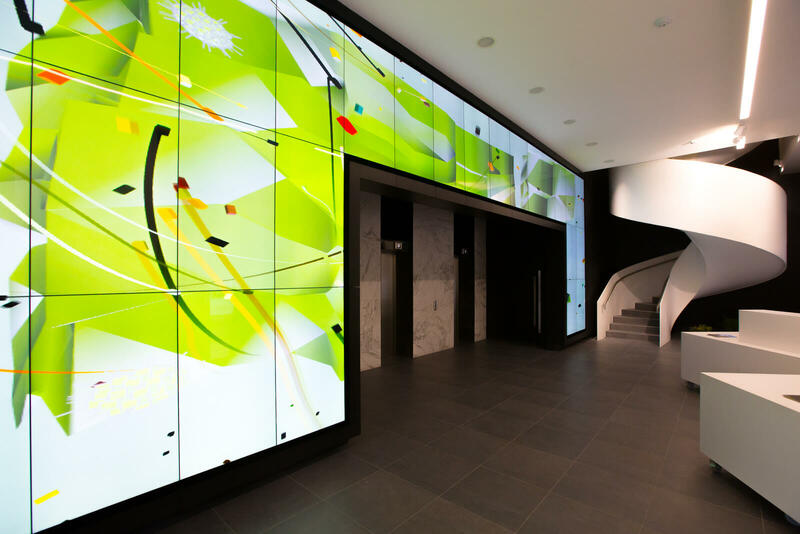 The current wind speed and wind direction influence the movement of these trails. 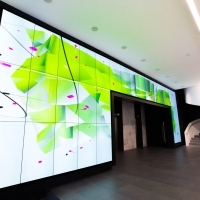 A large mesh-like object undulates in the background, coloured by the buildings' current energy usage, from green for low energy all the way up to red for high energy usage. 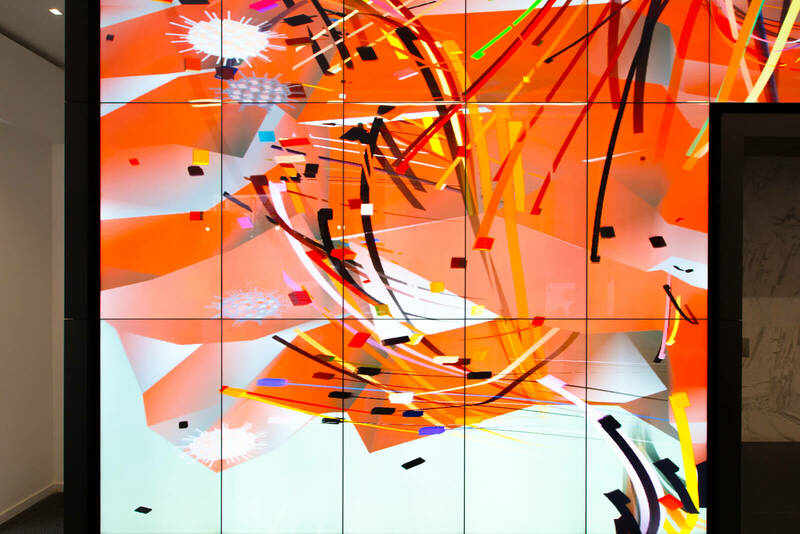 Finally social media chatter about Neo and Manchester create spiky spheres, punctuating the canvas, with their size and speed governed by the size of the tweet. 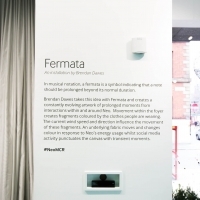 Fermata is on display for three months from the 30th March 2017 at Neo. 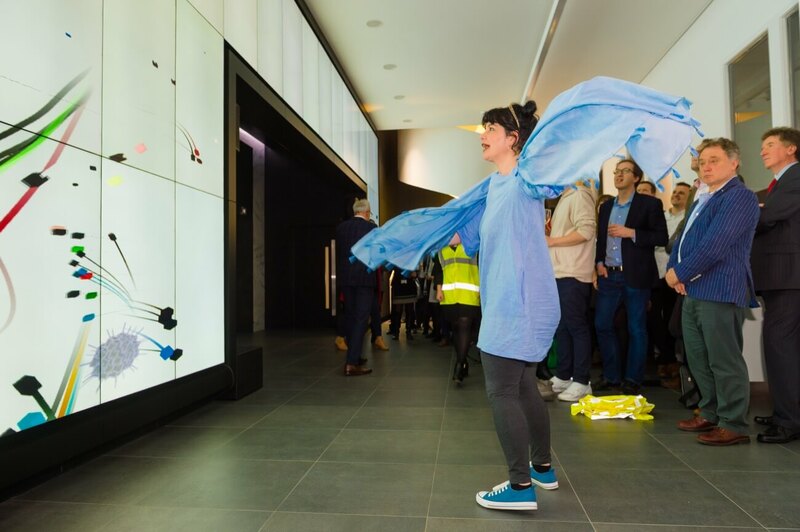 For press enquiries please contact Fiona McGarva at Sundae Communications.